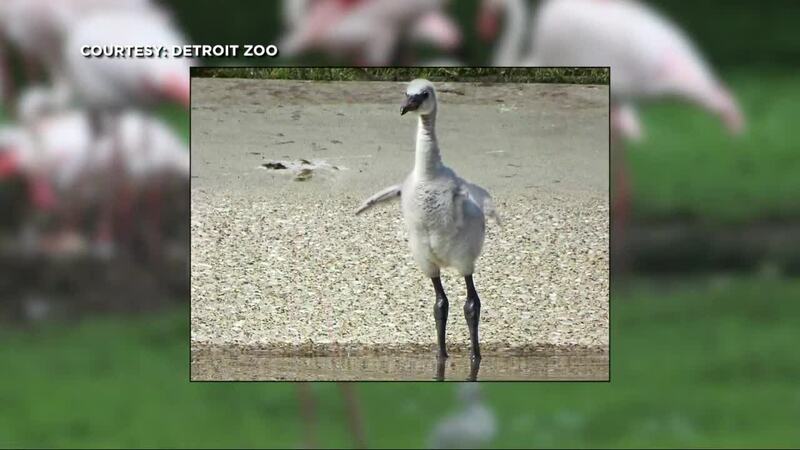 The flamingo family at the Detroit Zoo just got a little bigger! 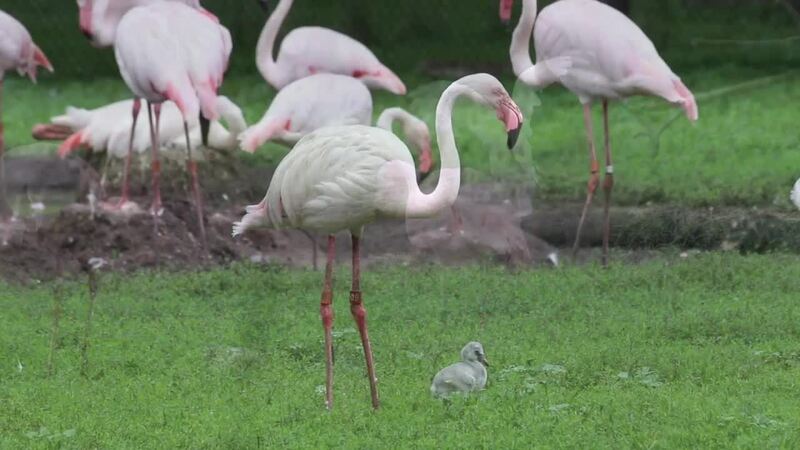 Zoo staff announced Thursday the hatching of five flamingo chicks in recent weeks. The babies -- four greater flamingos and one Chilean flamingo -- are being cared for in the Zoo's African bird habitat. Greater flamingos are born gray and white and don't turn pink until age 2. Chilean flamingos are born with grayish-brown feathers that turn pink in about 10 weeks. The new chicks bring the zoo's flamingo flock to 59 greater flamingos and 21 Chilean flamingos. They all share a habitat with spoonbills, storks, cranes and vultures. Flamingos can live more than 20 years in the wild and twice as long in human care.